Author of this tool is " Muris Kurgas aka j0rgan ". 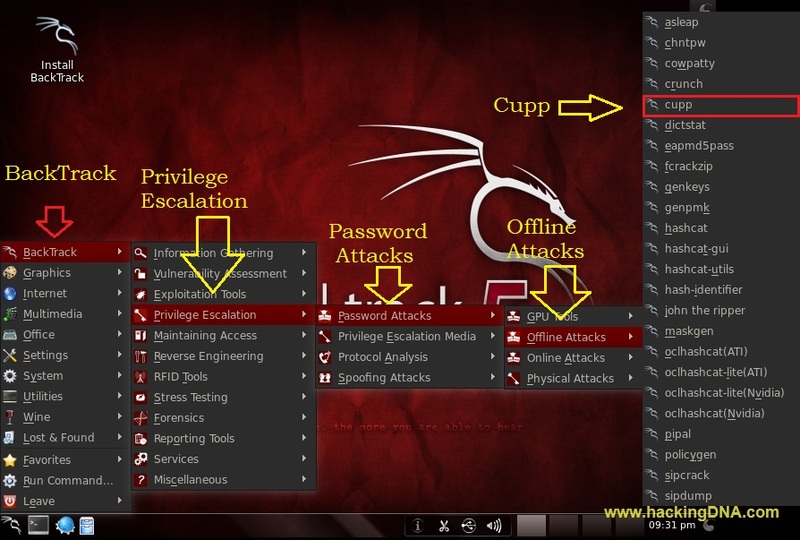 Create a custom wordlist using cupp on BackTrack5r2. Create a target-specific wordlist for password brute-forcing. This program is free software , you can redistribute it /modify it under the terms of GNU Public License. [ -w ] --> This option is used to make changes in the existing dictionary list/wordlist . [ -l ] ---> This option is used to download the wordlist from the repository . [ -v ] ---> This option is used to see version of the program . use ls command to list the files . open cupp.cfg on vim editor . make changes according to ur needs. save and quit from the vim editor . ./cupp.py -i ---> Enter the command to run program in interactive mode. Now fill all the information it ask to you . Select yes/no when it ask you to enter key words . Select yes/no when it ask you to add special characters. Select yes/no when it ask you to add random numbers. Select yes/no for the leet mode(1337). 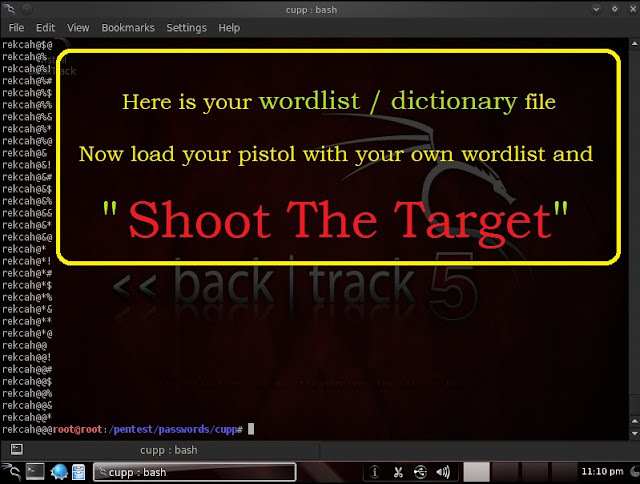 At last step cupp will automatically making a dictionary /wordlist for you . The below image shows 36248 words are generated and saved into hackingdna.txt file . Its a good forensic tool and also good for creating wordlists . Even you can download wordlist file from the repository. You can configure cupp.cfg file after opening on vim editor . If you have any questions drop on the comment box.